Forget about matching gems. We prefer to put our brains to better use. Most puzzle games involve falling blocks and multicolored gems, thanks to beloved classics like Tetris and Bejeweled. 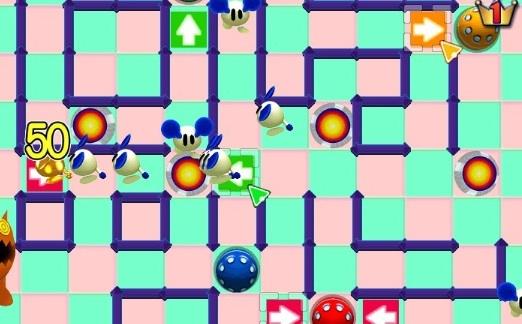 Although the path to making a quick buck usually involves shamelessly copying those hits, a handful of developers busted through the normal conventions to create more unique brain teasers that stand apart from the clones. That said, here's a short list of puzzle games that offer something different. 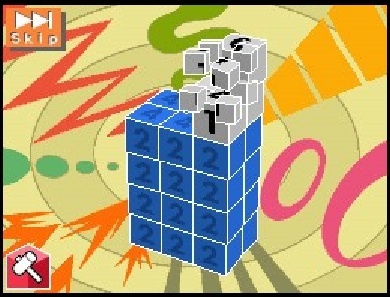 You've created horizontal lines with falling tetrominoes, but have you carefully pulled back a bunch of knives to press a red button? That's the premise behind this outstanding iPad game that's sort of like a sinister version of Twister. Before long, you'll have multiple fingers holding a bunch of sharp objects as you desperately attempt to hit the button with a free pinkie, praying to the video game gods that all goes according to plan. Mess up, and your virtual blood splatters the screen. Read our Slice HD Review. Nonogram puzzles have been around for more than 20 years, but they don't appear in video games that often, especially in 3D. In this title, you must chisel numbered blocks to reveal objects. Succeed, and the game rewards you with something cute. If you enjoy spending upwards of an hour figuring out puzzles, Nintendo's franchise should definitely find its way into your collection. These story driven adventures follow the exploits of Professor Layton and his assistant Luke, as they unravel stories by solving logic puzzles. 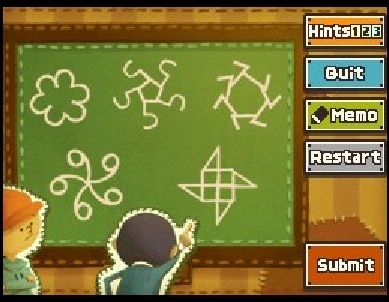 Read our Professor Layton and the Curious Village Review. Who says sludge is useless? 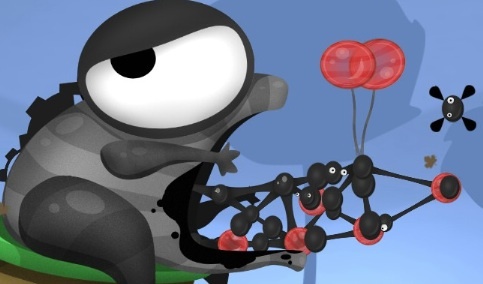 World of Goo lets players use goo balls to build bridges and other structures. Succeed, and a pipe with vacuum sucking action inhales the remaining goo balls. Now that's how you clean the environment. Read our World of Goo Review. This PSP gem takes you inside the head of a person named Danny, who sets out to collect a bunch of marbles. 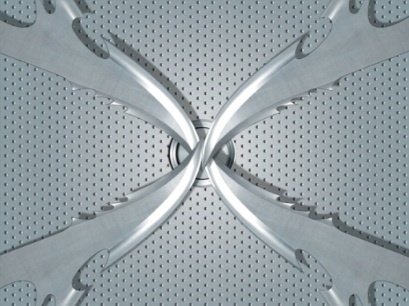 What makes the game interesting is the ability to transform levels from 2D to 3D and back to complete different puzzles. Definitely worth owning. A cute and very annoying Japanese pop star somehow wound up in the middle of the lake and forgot how to dance. How do you get her legs working? Throw baseballs at her. OK, so that's partially true. The goal here is to use the balls to destroy different platforms, somehow sliding and even catapulting her onto a dance floor. Of course, you can also fire one at her head for kicks. 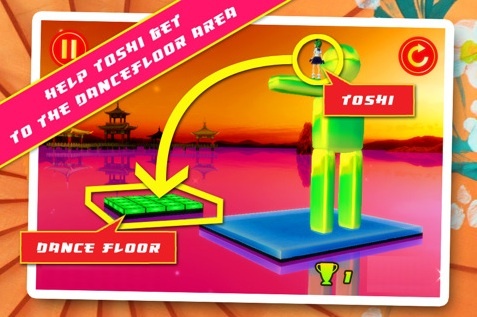 Read our Save Toshi DX Review. Sega's off the wall puzzler tasks you with laying a limited number of tiles to direct mice to a rocket ship while avoiding a bunch of hungry cats. That's cool, but things really pick up in the four-person multiplayer mode, where everyone attempts to hoard as many rodents as possible while sabotaging their opponents. 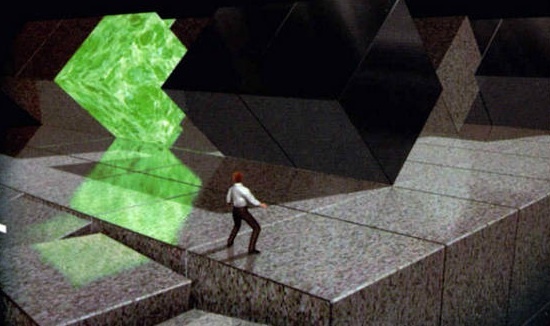 Sure, you've destroyed countless blocks, but we're willing to bet that you never took control of a tiny man and guided him around a suspended batch of cubes, frantically making them disappear to avoid being squashed, or perhaps you have. Carry on. 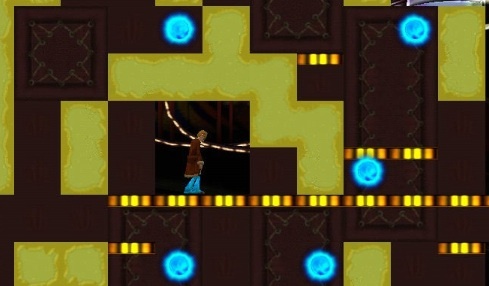 Valve treated console and PC owners to this wonderful puzzle platformer, where players use an experimental piece of equipment to create portals, entering one and exiting the other. Not only is the game a lot of fun, but the story (involving a questionable artificial intelligence) encourages players to witness the shocking conclusion. Chillingo's award winning puzzle App tests your cutting skills, as you slash different pieces of rope to guide candy into the waiting mouth of Om Nom, a tiny lizard with a huge appetite. If you already have this game, be sure to download the new and free Magic Box update. 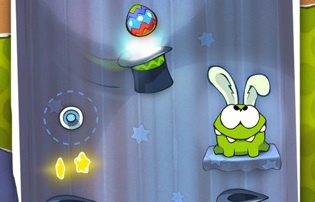 Read our Cut the Rope HD Review. 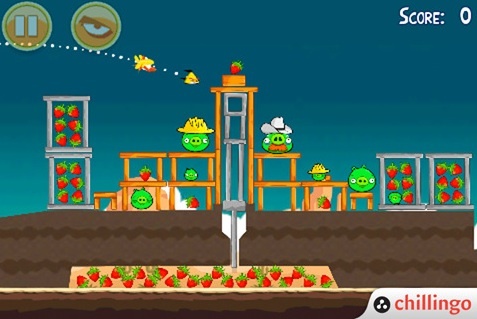 In what could be the biggest puzzle game of all time, Angry Birds ditches blocks and gems in favor of catapulting birds at fortresses made of wood, glass and stone to score huge points and kill menacing pigs. Pull back the slingshot and let it rip. Read our Angry Birds Seasons HD Review. 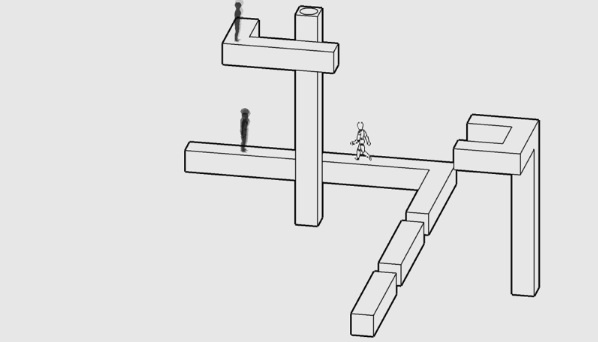 Step into a black and white world, courtesy of Sony's intriguing puzzler. 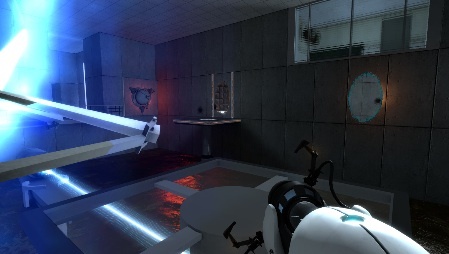 In it, a mannequin walks across different platforms, and you can influence the character's direction by manipulating the environment. While that's cool, the developers upped the proverbial ante with the sequel, which lets you harness light to control shadows.